A Music and Art Workshop was held in collaboration with Parivaadhini School of Music in the of sacred month of Margazhi. Our students showcased around 12 painting project in the two-day fair. They also conducted free coloring activities and henna tatoos for the guests. Navya Ponnapalli and Tanvi Mathrubootham, two senior students of Deepti Designs School of Art organized a 2-hour free Madhubani Painting workshop in which around 25 kids under the age of 9 participated. Our third annual exhibition of the students' paintings was held on Sept 16th at Kirkland Arts Center. This creative battalion of 37 kids and 3 adults presented over 120 painting projects at the showcase which was received by over 270 guests. All you moms out there - come let's get together for some arty afternoons! Much awaited day-art-lessons are now here. Select your favorite day(s) / time slots over the week and come create a piece with some friends! After the overwhelming response to the first workshop of the year, we bring to you the next in line of our Art Escapade 2017! - The Valentine's Special! Come join us to sketch and color a Valentine-themed art piece on the first Sunday of the month. The summer special classes are project based and were held over the evenings of Weekdays. Please visit Project-Special to find more information on the format of classes and other FAQs. Ages : Kids aged 6 years and above. Come join us to sketch and color Vasanth Panchami-themed art piece on the last Sunday of the month. Over 75 chosen paintings of 34 students were displayed which received unprecedented response from the visitors. Just like last year, the audience found it difficult to believe the paintings were done free hand by kids so young. Apart from the showcase, the little artists also presented art demonstrations which the audience enthusiastically participated in and made some real art pieces to go back home with. We are ecstatic to receive the love and appreciation of over 200 people who visited us. Divyam - Light and Joy from Potters' Homes to Ours! This is an endeavor to help kids and adults paint and decorate our TRADITIONAL DIYAS in a style that would suit modern day decor sensibilities. The diyas we are using are the very basic baked earthen diyas sourced from local potters in India. The idea is to encourage the use of these non-decorative diyas instead of pre-painted and pre-molded fancy and expensive deepams. Come let's learn to make our traditions, trendy again! In the wake of the global “go-green “campaign, our parent organization Kalakriti (a registered NGO) took the initiative of encouraging womenfolk of the town to create their own organic clay-Ganesha. A one-day pottery workshop was organized at city-level in Darbhanga (Bihar, India) where ladies of varied age-groups and from different walks of life, learnt to make free-hand Ganesha, and a Diya on potter’s wheel. Right at the onset of the festive season, this endeavor was the “Pratham-pag” (first step) in promoting a sense of responsibility towards our environment. While it certainly helped in boosting creative energy of the town, it proved quite fruitful in making womanfolk aware of the detrimental effects of washing synthetic paints/supplies in prime water resources of the city. They, as a group, appreciated the omnipotence of मिट्टी /dirt/soil and exhibited boyant spirit and enthusiasm in participating in this creatively noble experience. 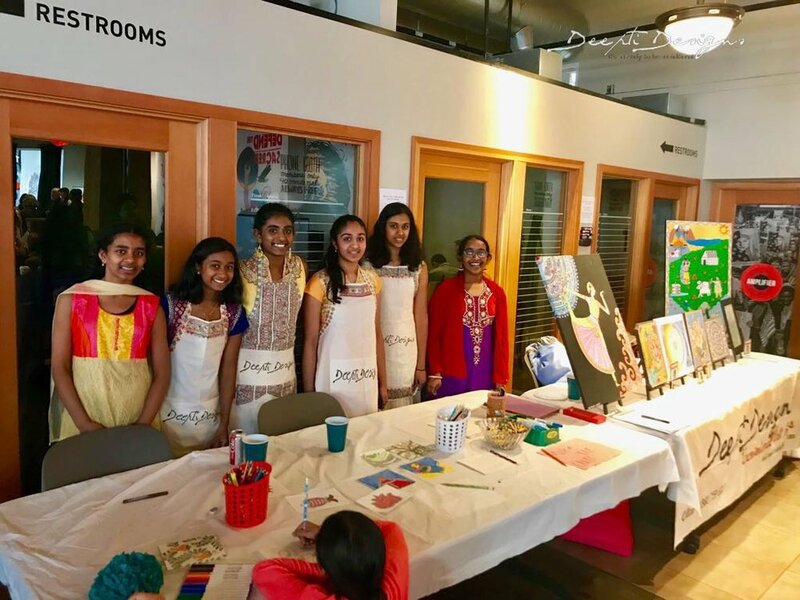 An Indian music-themed performance and visual art camp for all ages is being hosted by Lakshami and Deepti together in the heart of Bothell.